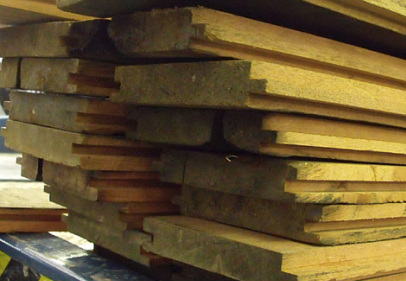 You can buy this type of tongue and groove wood for flooring or walls in new or used form. Obviously, the new wood flooring has never been used. Reclaimed pine tongue and groove is really just made from old wood. Essentially the old boards are milled and sanded from larger boards to create the flooring boards. It’s sort of like repurposing. Antique planking is really just old flooring boards that are being used in a new application. If reclaimed floors are repurposed, antique planks are reused. This is one of the more unique things about heart pine tongue and groove.